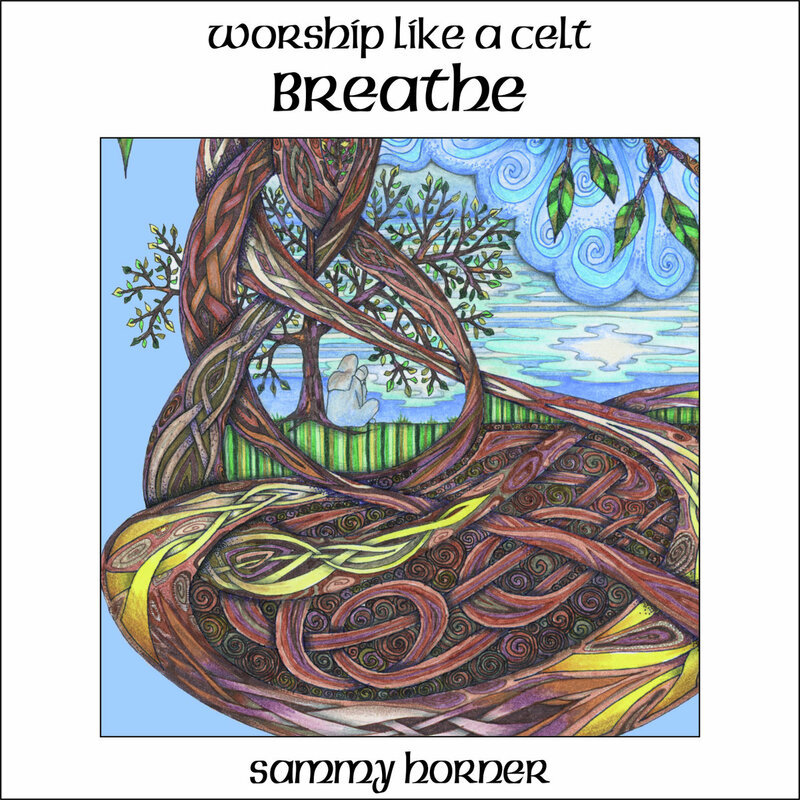 Irish Folk/Celtic artist Sammy Horner is releasing his new album 'Worship Like A Celt - BREATHE'. Sammy is best known as the main songwriter, bassist and front man of the Celtic rock combo ‘The Electrics’, and is also given credit for being the first to pioneer a fusion of Celtic and contemporary worship music together. "Over 25 years ago I tried to fuse Celtic sounds with Gospel/Worship/Spiritual music. It did pretty well, in fact so well that one journalist said: 'Sammy Horner is a singer/songwriter who's toured the world, recorded over 20 albums and almost single-handedly popularised a new genre, Celtic Praise.' My intention was to mix culture and faith into the music I loved. Initially, they were recorded on zero budgets but once record companies got a hold of them and gave them the 'Celtic Praise' titles (I never did) the albums sold and became popular. This was a surprise to me since my intentions were to make simple recordings to sell at gigs. Songs that connected culturally to the communities that I lived amongst. Within a few years, I was hearing 'Celtic praise' on everything. It seemed that adding some pipes and whistles was all that was required and I stepped away. The history, culture, art, music and theology was becoming further removed and I just couldn't be part of it anymore. Then around 10 years ago I got an idea to record more songs that might look at the breadth of how these ancient Celts worshipped. The notion that it is not just about music, but much bigger, more depth and more inclusive. This year I really felt as if it was time to do it and so, with a global team of artists from the UK, Ireland, Switzerland, Australia, USA and Holland we hope to bring two albums that, hopefully, will begin a project called 'Worship Like A Celt'. The first album will be an acoustic aid to worship, prayer and contemplation. The second, a rousing celebration. I have been writing and co-writing songs for months now. I think they are good and I think, if you have liked my past work, you will love these."